ILSC Junior Camps: Best Summer Ever! Learn French at ILSC: Easy as Un, Deux, Trois! Which Canadian City is Right For You? Rising above challenges truly defines the journey of students in our Learn to Earn Program, a language and life-skills training program for disadvantaged young women, offered at ILSC-New Delhi. 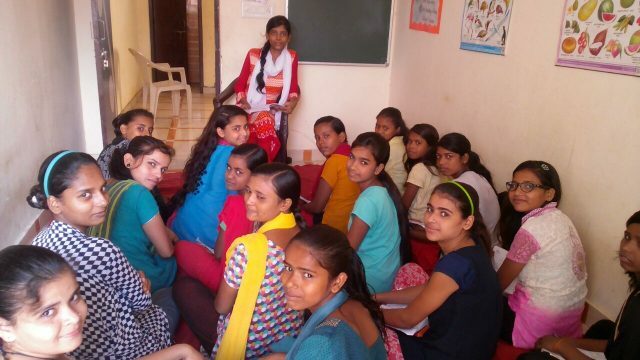 The program was founded in New Delhi, India, in 2010, as part of ILSC’s mission to empower women through education. The idea began with the realization that educating young women in the developing world is one of the best ways to promote positive social change. In India, access to quality education is essential for young women to find stable employment, especially English language training. Since then, the program has helped 74 LTE participants to improve their lives. The program’s current goal is to secure 20 scholarships per year, with the help of generous donors worldwide. And as part of ILSC’s 25th anniversary Pay it Forward campaign, $1 has been contributed to the Learn to Earn Program in New Delhi, from every registration at ILSC schools around the world. As a result, we are looking forward to fully funding 17 new scholarships! Learn to Earn started with the goal of educating young, hard working women to finding stable employment, and promoting leadership in their communities. We are indeed happy and privileged to witness their success. We hope you enjoy learning more about these inspiring women and their stories! Check out the story of Mallika Dutta, a 2010 graduate of the program. 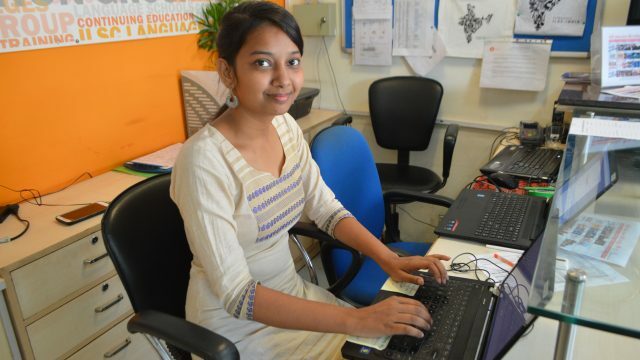 Following her studies at ILSC, Mallika was employed at ILSC-New Delhi and now connects with and supports international students at the school every day. She is passionate about travelling and would like to explore more of her country and the world! The minimum duration of the LTE program is 360 hours (6 months) of English classes along with life-skills workshops, including financial literacy and basic computer skills. Students also receive learning materials, a small stipend to cover transportation costs and a school lunch. In the current group (LTE Cohort 10) we have 10 students studying with us. Learn more about the Learn to Earn Program. You can donate online to support this initiative.